We all know the benefits of combining healthy eating with increased exercise and fitness, but sometimes exercise can often be the stumbling block that we put on the back burner when the rest of our life and daily routine gets in the way. However the key to achieving and maintaining a healthy weight is combining both food and exercise to strike that all important balance! The government in the UK predicts that 60% of men, 50% of women and 25% of children in Britain will be obese by 2050 unless the problem is tackled and we aren’t too far behind ourselves. Read on and learn how to overcome your personal barriers to exercise so you don’t become part of the statistic. Change your routine – Sit down and look at what you’re doing for the week and see if you can change anything to involve some form of exercise. For example, rather than sitting down with the kids in front of the TV on a Saturday afternoon, suggest a bike ride or a walk or play around the local park. Do short bursts of exercise – Don’t convince yourself that exercise has to be done in one go – try to squeeze in short bouts whenever you feel you can. For example, three 10 minute walks over the course of the day will still add up to 30 minutes and make a big difference and will soon add up to pounds of fat lost and a healthier body. Be an early riser – If you know that your days and evenings are jam-packed, consider getting up half an hour earlier on a couple of days to go for a walk or to do that exercise DVD everyone’s been raving about. You’ll soon get used to it and before you know it, you might be able to add another morning to your routine. It’s totally understandable to be low in confidence and self-conscious when starting to exercise for the first time in a while or, in some cases, the first time ever. Rest assured, you’re not alone. The fantastic news is that exercise will undoubtedly increase your confidence as you become fitter and notice positive changes in your body. Give yourself a pat on the back for taking the plunge. Of course, if you don’t want to be surrounded by others when you first start, you can go it alone by doing an exercise DVD or buying a stationary bike, treadmill or rowing machine to use in the comfort of your own home. Stay disciplined – the results and increased confidence WILL arrive hand in hand much sooner than you think. Let’s face it, life can be tiring and you might feel like you’ve got no energy to exercise. The truth is, however, without exercise you won’t have any energy to start with and you’ll find yourself in a vicious cycle. Break the cycle. Work through the mental fatigue and do some exercise. You’ll be amazed how much more invigorated you’ll feel and you’ll get the added bonus of a better night’s sleep which will itself increase your daily energy levels. REMEMBER: Work through the tiredness and exercise to energise. Starting an exercise routine from scratch is not easy and will of course require a little willpower but how can you nurture this? The key is to focus on the prize, not the process. The prize could be many different things such as improved confidence, having more energy to play with the kids or looking good in that ‘little black dress’. So, when you really can’t be bothered to drag yourself out of the house to go for that jog you said you were going to do, remind yourself of why you made the commitment to yourself in the first place. Missed sessions soon add up, so treat them like you would appointments, writing them down so you’re accountable to them. Even better, exercise with a partner or group, making yourself even more accountable if you let them down by missing a session. You can be certain when you achieve your goals, that the end will more than justify the means 🙂 I always like to have a written plan and stick it on my fridge to remind myself of my goals and I still find that really helps – mentally I like to tick off the sessions and it feels good to know I have them done instead of blank spaces or crosses for missed sessions. Be an enthusiastic exercise champion! Tell as many people as you can about your intention to exercise, get fit and improve your life. You’ll be pleasantly surprised by the positive responses you’ll get. How can such a positive lifestyle choice be met with negativity? Ask them to support your efforts or, even better, invite them to join you to see for themselves how they too can benefit from regular exercise. Naturally, there may be those who do not share your enthusiasm so, if necessary, have a heart-to-heart with them to ask them to at least respect your desire to get fit and be healthy. That’s the least they can do. Remember, it’s YOUR body and YOUR life you are protecting. Strengthening exercises at home – Use resistance bands (like giant elastic bands) in place of weights or do body weight exercises such as dips, press-ups, squats and lunges which will also strength your stomach and back muscles. Grab household items or bottle of water to use as weights. Exercise DVDs – These can be done in the comfort of your own home at very little cost and can include exercises such as yoga, Zumba, cardio kickboxing and dance-based exercises. You can even swap videos with your friends! 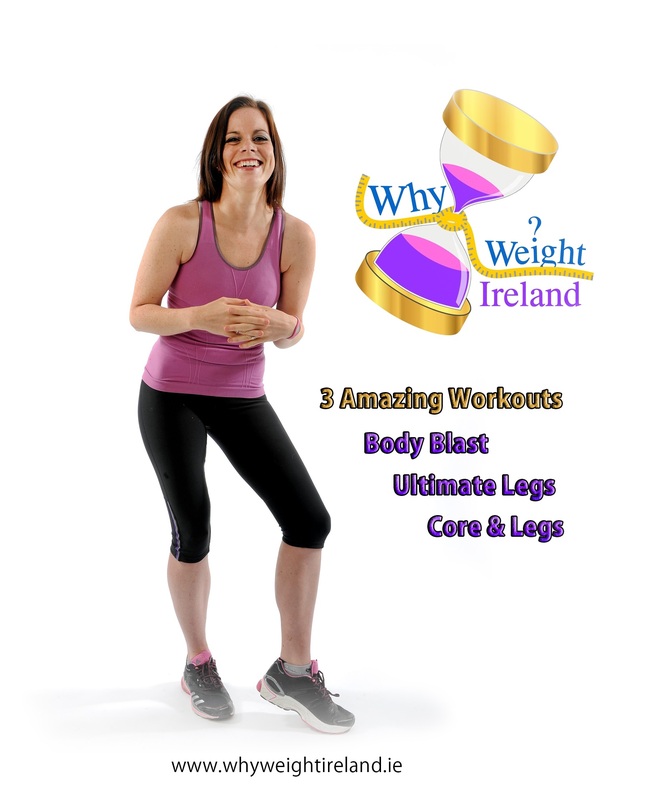 Don’t forget you can get your Why Weight Ireland Total Body Tone DVD direct from the website. Walking/Running – Yes, you’ll need a suitable pair of runners but this is still a very cheap form of exercise that is simple to do. Check for details of walking groups, running clubs or Fit4Life groups in your local area if you don’t want to go it alone. It could be a great way of making new like-minded friends! 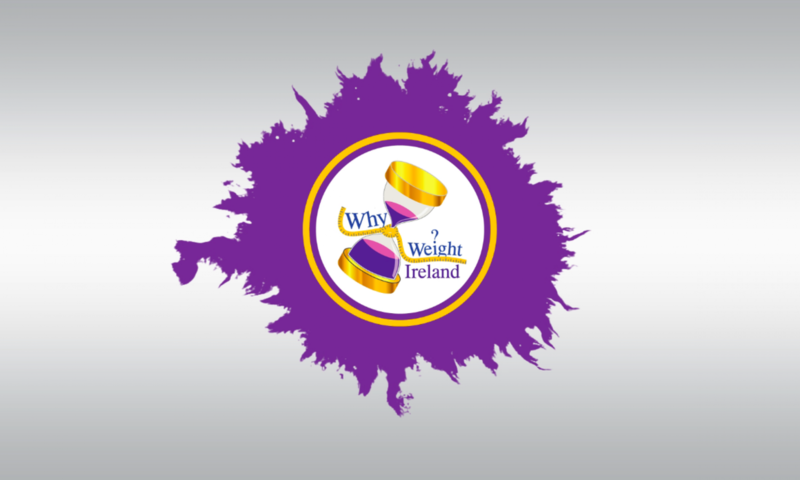 As a member of Why Weight Ireland you can avail of your free personalised fitness plan to keep you motivated. Incorporating exercise into your day – Can you squeeze a walk into your lunch break? Can you give the lift a miss today and tackle the stairs? Do you really need to use the car for such a short journey to the shops? You get the picture – think of ways in which you can include exercise in your day-to-day activities. As I said before, every small extra step is more than doing nothing and it really does add up! If any of these excuses sound familiar, you are certainly not alone but ask yourself this: are they really genuine or can you find ways around them? You probably know the answer to this. So what are you waiting for?